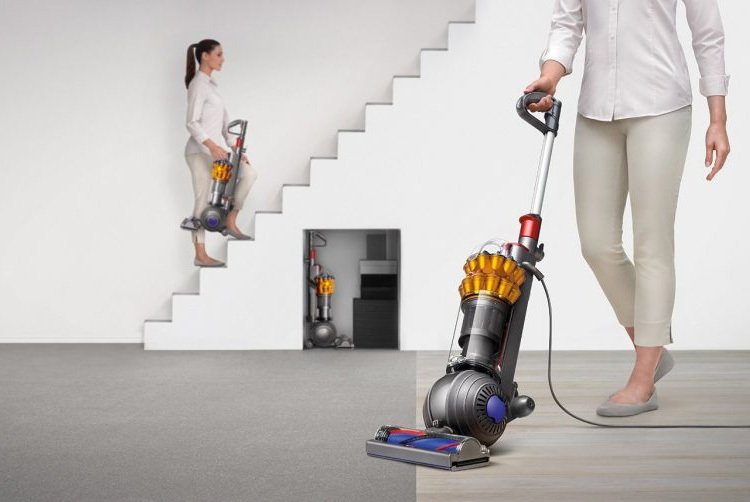 Despite its small size, the Dyson DC50 boasts the same performance as a full-size upright vacuum. With 2 Tier Radial cyclones, the airflow is increased allowing the DC50 to extract more microscopic dust. Automatically adjusting to every floor type, the vacuum's cleaner head seals in suction so that debris is not re-released. Weighing just 5.4kg, the DC50 is very easy to manoeuvre. It uses Dyson’s innovative ball technology which allows for stress-free steering around furniture and awkward spaces. And because there are no wheels, you do not need to partake in the awkward ‘back and forth’ motion of traditional vacuum cleaners. The DC50 also has an instant release high reach wand that lets you easily tackle stairs, ceilings and hard to reach spots. 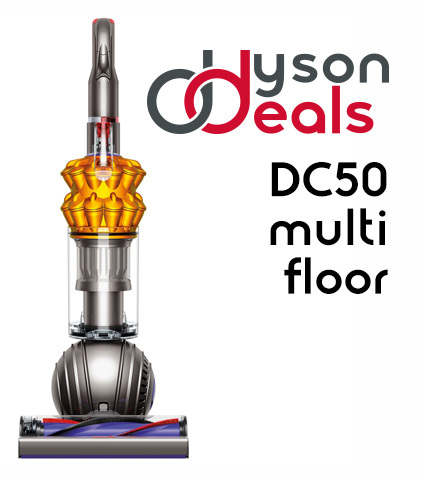 The Dyson DC50 upright vacuum cleaner may be small but boasts all the performance of a full size upright machine with no loss of suction. 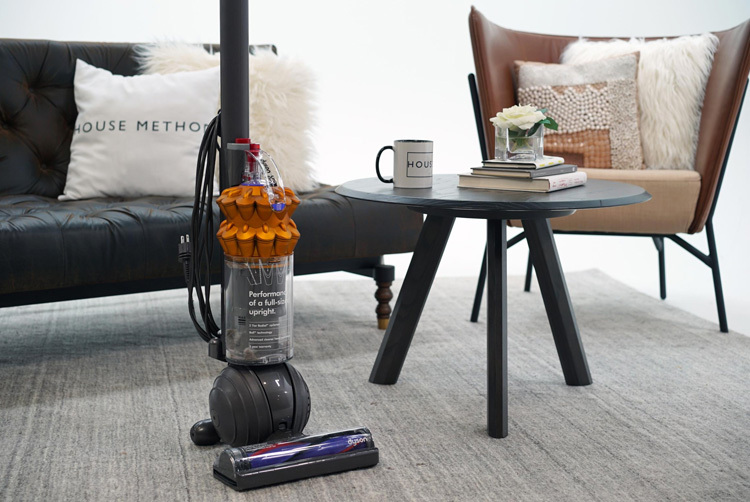 It weighs only 5.4kg and features Dyson's most advanced cleaner head technology along with 2 Tier Radial™ cyclones and the latest Ball™ technology. Fully Cleaned with antibacterial solution throughout and tested. Please note that the unit maybe in another colour, Gold, Purple, Red. If you have a preference please contact me on placement of order, if no request made the colour will be shipped as per stock levels. This does not affect the performance or specification of the Dyson. Two Tools, crevice, stairs. 6 months warranty. We will bubble wrap your Dyson and secure it in a box. Will be delivered in 2-3 working days Standard and next working day Expedited, Highlands, Ireland will be two days please provide mobile number at checkout to receive your live tracking with timed delivery. Any questions please ask, other models available, supplied with operating instruction. Any warranty stated on the Dyson product page does not apply to used/refurbished items only to brand new items Limited 6 month warranty supplied as standard. Please read our website T&C page for full details.